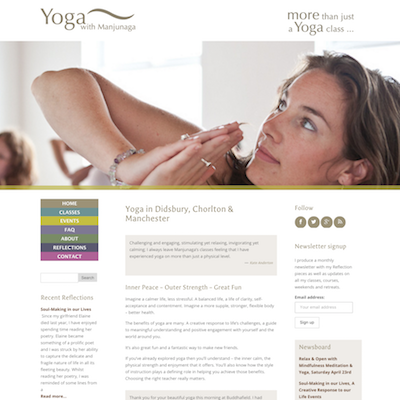 Manjunaga Yoga had an existing WordPress website that required updating with a more modern look and to convert the website to be mobile responsive. Care was taken to retain the spirit of original design to provide continuity of branding. Work was also done to adapt existing MailChimp newsletter templates to match the new design.